Catch this rare opportunity to train with Shifu Chen Ziqiang on his only visit to the UK in 2019, where he will conduct a series of exciting seminars with Shifu Liu Quanjun in: Chen Silk Reeling (Chen Foundation training), Dajia Yi Lu (Chen village beginners form), Taiji Ball, Double Swords and Tui Shou, Push Hands training. The son of Grandmaster Chen Xiaoxing, Master Chen Ziqiang is a 20th generation direct descendant of the Chen Family Taijiquan, the Chief Coach of the prestigious Chenjiagou Taijiquan School, a renowned teacher and tai ji champion in China and worldwide. All taijiquan practitioners are very welcome to attend! Please arrive 15 minutes before the start time to enroll. If you would like to attend the seminars, please download the pdf Chen Ziqiang 2019 Booking and Release Form link, fill in all your details and return to Tai Ji Circle as requested, or bring the Release Form with you to the seminars. Please email if you wish to attend to check that there are places still available. Thank you. Chen Ziqiang 2019 Booking and Release Form pdf document. Please retain pages 1-2 for your information, and return pages 3-4 to Tai Ji Circle. If you have any queries please get in touch by email. 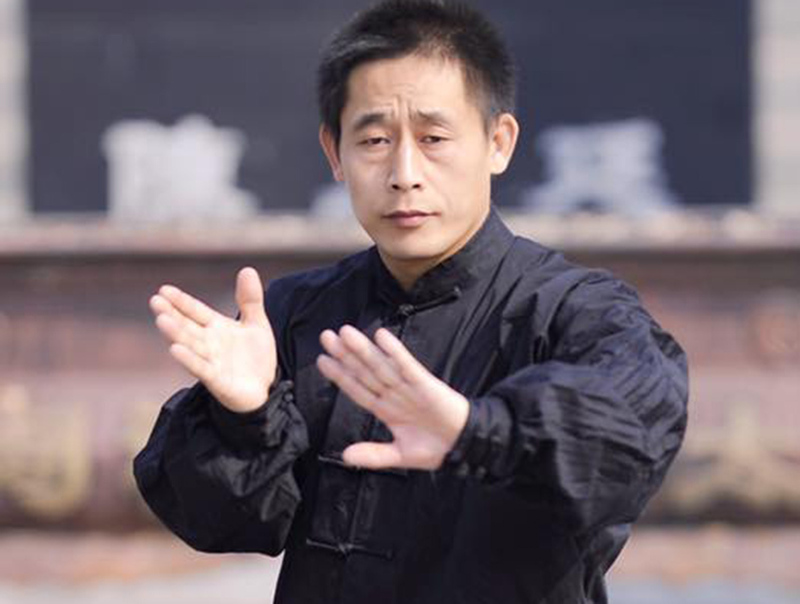 All seminars with Master Chen include vigorous warm-up exercises to prepare the body for training. Silk Reeling and Dajia Yi Lu and Chen Ball and Push Hands are all suitable for students with less experience. For the Double Swords some weapons experience is necessary. Silk Reeling exercises (Chansi Gong) the essential foundation practice to improve posture and movement in longer routines They are aimed at regulating the whole body into a relaxed, comfortable and natural state, through rhythmical relaxation of all the parts of the body. Dajia First Routine is a simplified routine based on a combination of several traditional Chen routines. The form is mostly practiced to cultivate and replenish qi, so as to improve physical constitution and to promote health. This routine uses mind to direct qi and qi to shape the form, resulting in form and breathing in harmony. It is easy to learn, and suitable for all ages to practice. This is also known as Chen-style Taiji Health Routine. Aim to keep the ball moving all the time, the way the ball moves reflects your body movement. Use silk reeling/Chansi Gong techniques when practicing the routine. When accustomed to the routine you can use a weighted ball with weight up to one kilo. Please bring your own taiji ball (can be small football or basket ball). A powerful weapon form containing many techniques. Each attack and defence should be executed with speed and force. • As the Double Swords will be new to Tai Ji Circle students, Shifu Liu will be starting a Double Swords class in the future, to continue our training and improvement to the form. The practice of Tui Shou (Push hands) is the application of different forms with a partner under different conditions. The aim is to understand the other person’s internal qi (energy), how it moves, their balance and coordination, constantly restructuring your own balance and coordination accordingly. It is a preparation for martial applications and techniques by improving reactions to attack.